Healthie's secure telehealth / video chat platform is accessible from desktop, laptop, mobile, and tablet. Here is a troubleshooting guide to help you get set up. Healthie's video chat is accessible from computers on Chrome (recommended), Firefox, Internet Explorer, Edge, and Opera. Safari's next version will support HIPAA-compliant video chat, but for now, please switch to a supported browser. 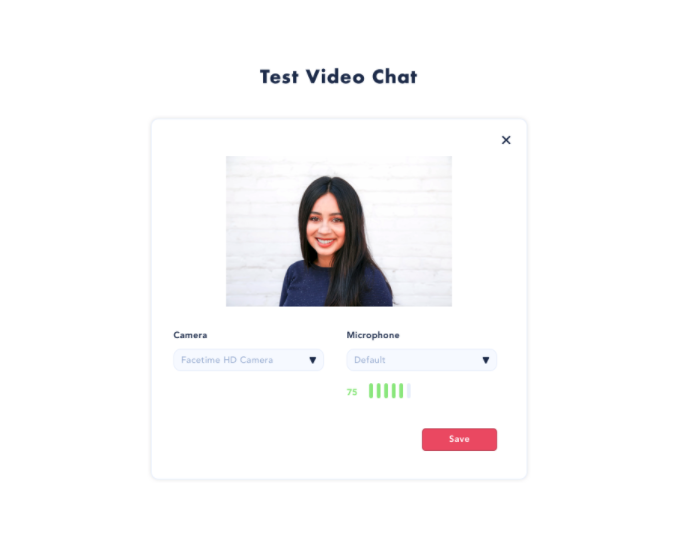 Within your Healthie account, select Settings (Profile picture on top right corner) --> Personal Account --> Test Video Chat - this will check to ensure your microphone and camera are set up. We recommend doing this in advance of a session. In your browser bar, on the right of www.gethealthie.com, you will see a camera icon. Click this icon to see your current settings. If you have allowed access to your camera and microphone and are still having issues, please refresh your browser. This generally means that your microphone is not connecting to your browser (or, that the wrong microphone input is selected). When you are in a video chat room, select "Set up Screenshare" - currently, this capability is only available within Google Chrome. You may need to add an extension. Situation A: You can see and hear a client, they can see you, but cannot hear youIn this instance, this may be an issue with your microphone. First line of defense is restarting your browser. Second line of defense is ensuring you have the correct microphone attached to your computer. In this instance, your client's camera is likely not working, or not giving permission for the browser to use the camera. Use instructions in Step 3 above to give appropriate access. Situation C: A client's device has two camerasIn this instance, please have the client click the camera icon on the top right of the URL bar and select "front-facing camera"
Please download the Healthie iOS or Android app. If you have the app downloaded, please make sure you are using the latest version. Special instructions for Android: Here are instructions to check your app permission on your Android so you can ensure that the Healthie app has access to your microphone. Share Screen: Clicking this button will make your screen visible to the client**. To stop sharing your screen, click the button again. * Requires an additional plug-in to be installed. * Requires client to be on desktop or laptop. Full Screen: Clicking this button will enter you into fullscreen mode. The side menus will no longer be visible. To exit full screen mode, click to the button again. Mute: Clicking this button will mute YOU, meaning the client won't be able to hear you. To unmute yourself, click the button again. Camera off: Clicking this button will disable your camera, meaning the client will no longer be able to see you. To turn your camera back on, click the button again. X button: Clicking this button exits you completely from the chat room, you will not be able to hear or see your client and vice-versa. To re-enter the chat room, click the button again. Here is a link to the Zoom Troubleshooting Guide if you would like to set up Telehealth access through Zoom.